Try some of the lesson ideas from Ministry-to-Children. 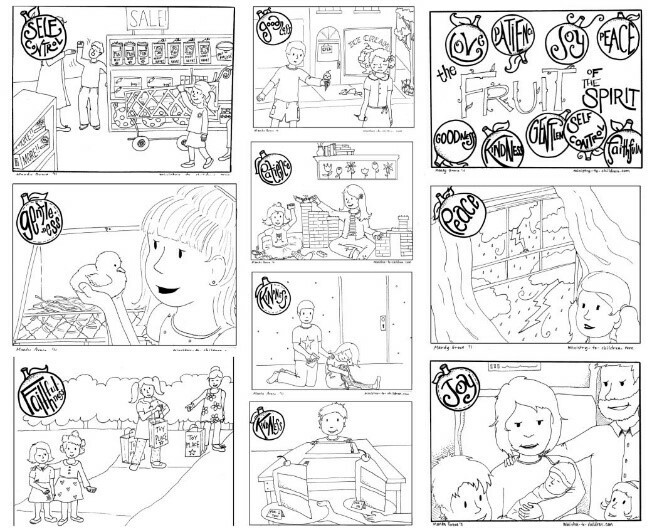 There is an entire colouring book that you can download and the work of Mandy Groce is always fabulous. So what does this have to do with Habits of Heart? Well if it was me, I would have the students explore the Habits of Heart and the Fruit of the Spirit and then do some analysing and synthesising and a little comparing and contrasting. 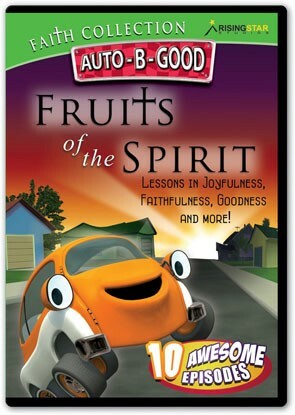 Simply put, have the students think about the Fruit of the Spirit as explained in each episode of Auto-B-Good and then decide which of the Habits of Heart aligns with the Fruit as explained in the story. Could there be more than one Fruit for each Habit? Some, like Patience and Love align perfectly. However, some require deeper thinking and reasoning. For example, would the Fruit of the Spirit, Peace, sit with Habit#12 Build Community or #13 Work for Justice, or both or neither? Open up the discussion. Create lists and rank them in order. The teaching and learning opportunities are endless. Lots of opportunities for Circle Time discussions, so include some of Sue Roffey’s Circle Solutions. Journal reflections are always a great way to deepen thinking. For the littlest folk, simply draw the cars and describe their character. Looking for links and connections in learning can help our students to more fully appreciate and understand what they are learning. Connecting Habits of Heart and the Fruit of the Spirit will help to make learning more authentic and transformational for our students. So, ‘start your engines’ and have fun! Be Grateful! Say it with Photos!